Can you identify the women in this photograph? 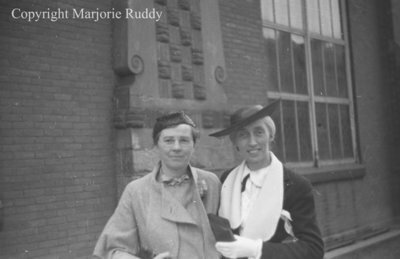 A black and white negative of two unidentified women outside the contestants' entrance at the Whitby Festival on May 10, 1938. Whitby Festival, May 10, 1938, Marjorie Ruddy. Whitby Archives A2013_040_983D.